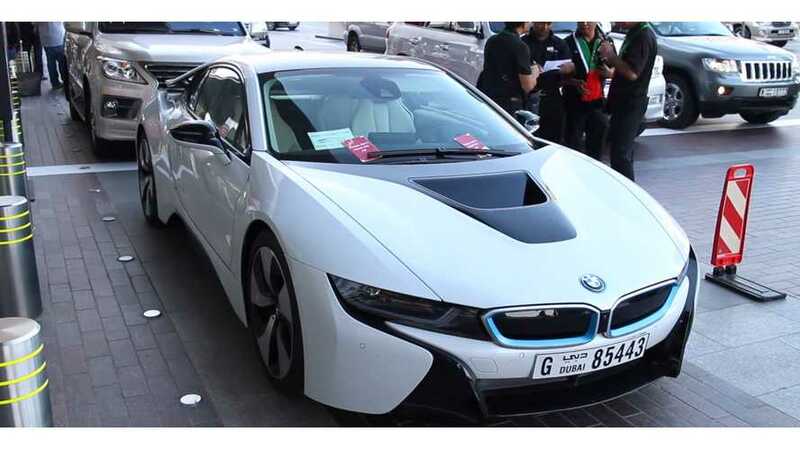 If you are ever in oil-rich Dubai and want to rent something unique (in a stand out in a crowd sort of way), then this BMW i8 is likely to do the trick. Backing up our statement, notice in the video clip how someone is almost always taking a picture, video, or a selfie with the i8. Yes...it sure dopes draw attention. Unfortunately, we have no information to provide on costs for renting this i8. We do know that it's located at The Dubai Mall, but that's all the intel we would obtain. The BMW i8 is becoming a popular rental. In fact, you can rent one at MPG Car Rental in Venice, California too. Our question to you is, what's the daily rate you would pay to rent an i8 to test it out?